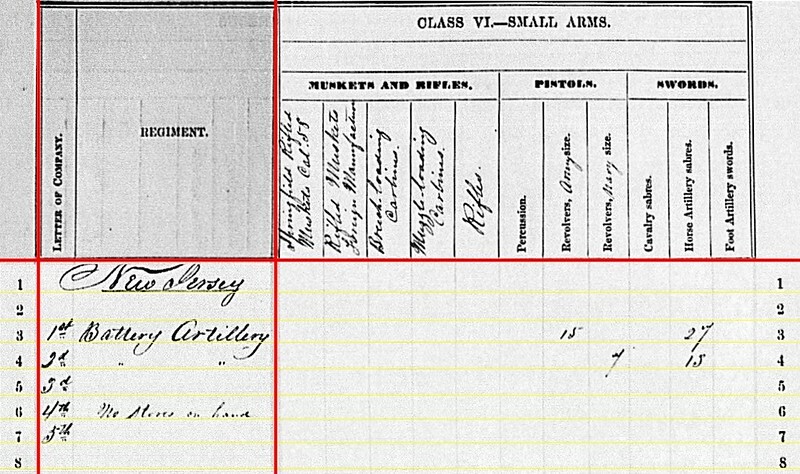 1st Battery: Reporting at Taneytown, Maryland with four 3-inch Ordnance Rifles. After the Chancellorsville Campaign, Captain Frederick M. Edgell’s battery transferred from First Corps to Third Volunteer Brigade, Artillery Reserve, Army of the Potomac. If we go to Edgell’s official report of the Gettysburg Campaign, we find his battery expended 105 rounds on July 2nd (at ranges of 2,000 yards or more!) from a position off the Taneytown Road, in what is today the National Cemetery. On July 3, they fired counter-battery and later helped repulse Longstreet’s assault, with 248 rounds. The battery fired a total of 353 rounds, with Hotchkiss time shell and Schenkl percussion mentioned specifically. Edgell complained about the Schenkl combination fused case. Battery A: In Maryland with six 10-pdr Parrotts. The battery was, after Chancellorsville, moved from the Sixth Corps to Fourth Volunteer Brigade, Artillery Reserve, Army of the Potomac. 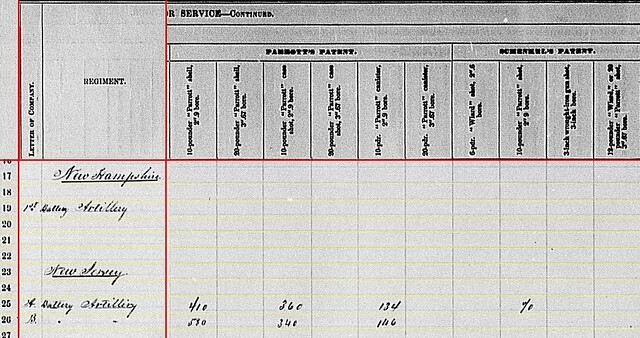 Lieutenant Augustine N. Parsons remained in command, with the absence of Captain William Hexamer. On June 30, the battery was, like most of the Artillery Reserve, near Taneytown. On July 3, Battery A went into action near the present day Pennsylvania Memorial, and thus on the opposite flank of Longstreet’s assault from the New Hampshire battery mentioned above. Parsons reported firing about 120 rounds of case against the infantry charge. Afterward, he fired an additional 80 rounds of shell at Confederate batteries, for a total of around 200 on the day. 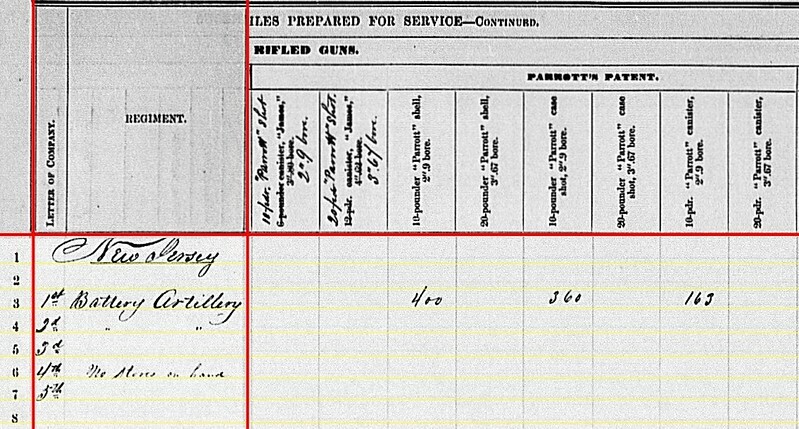 Battery B: Reported at Brandy Station, Virginia with six 10-pdr Parrotts, reflecting a March 1864 receipt date. Of course the battery was with the Third Corps, Army of the Potomac, on June 30, 1863, and between Emmitsburg and Taneytown. Captain A.Judson Clark commanded the battery. 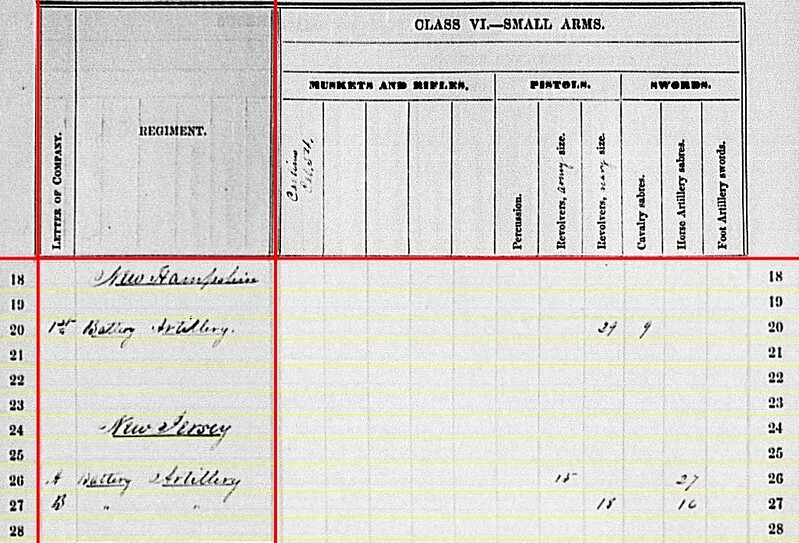 However, at least at the start of the Gettysburg Campaign, Clark was listed as a divisional artillery chief, a position that should have been redundant with battery consolidation at the corps level. Captain George E. Randolph, Battery E, 1st Rhode Island Artillery, was the corps artillery chief (somewhat confusing, even on the tablets at Gettysburg list both Randolph and Clark). While Clark was serving as chief, Lieutenant Robert Sims had charge of the battery. But all reports have Clark in command of the battery on July 2nd, when the battery advanced to support infantry at the Peach Orchard salient. Thus we can place all three batteries in action at Gettysburg. Writing these summaries, I have an urge to discuss so much of the “rest of the story.” But for the moment, let us focus on the summaries and not the deeds (which most would agree are more interesting). 1st New Hampshire: 80 canister, 158 fuse shell, and 238 bullet shell for 3-inch rifles. 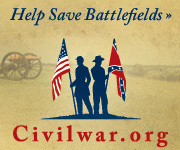 Keep in mind Edgell fired 353 rounds at Gettysburg. And we’ll revisit the totals below. Battery A, New Jersey: 130 canister for 10-pdr Parrotts. Battery B, New Jersey: 568 shell, 360 case, and 120 canister for 10-pdr Parrotts. Parsons’ battery seems to be missing a large quantity of ammunition. And that cannot simply be accounted for by that expended in battle in July. 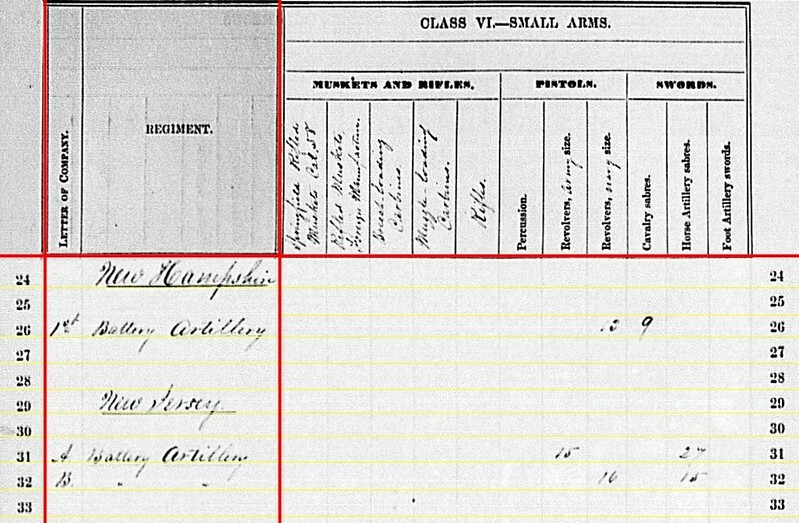 1st New Hampshire: 322 shells for 3-inch rifles. Battery B, New Jersey: 152 shells for 10-pdr Parrotts. We find here some of the Schenkl shells that Edgell complained about. The total for that battery, on the summaries, is 798 rounds. 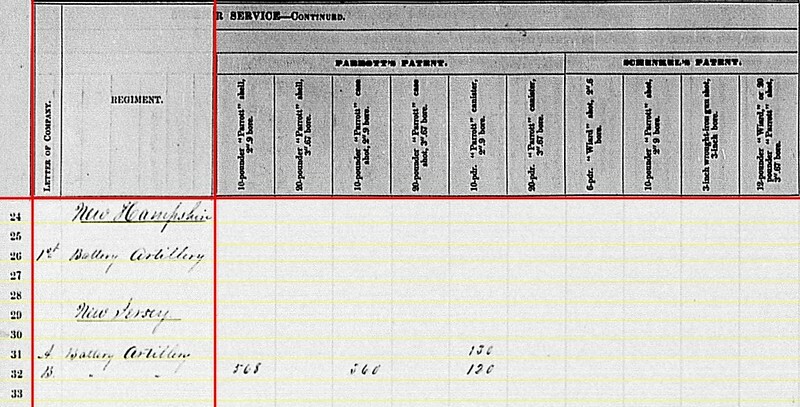 Again, the question here – was that “as of June 30, 1863”? Or on hand as of the day the report was generated? Or quantity on hand sometime after the great battle? 1st New Hampshire: Thirteen Navy revolvers and nine cavalry sabers. Battery A, New Jersey: Fifteen Army revolvers and twenty-seven horse artillery sabers. Battery B, New Jersey: Sixteen Navy revolvers and fifteen horse artillery sabers. Three batteries from two different states. All three playing in action at Gettysburg. 1st Battery: At Belle Plain, Virginia with six 3-inch Ordnance Rifles. Captain Frederick M. Edgell’s battery was in First Division, First Corps, Army of the Potomac. Battery A: White Oak Church, Virginia with six 10-pdr Parrotts. The battery supported First Division, Sixth Corps. When Captain William Hexamer fell ill during the winter, Lieutenant Augustine N. Parsons assumed command of the battery. Battery B: Potomac Creek, Virginia with six 10-pdr Parrotts. In January 1863, Captain A.Judson Clark commanded this battery, assigned to Second Division, Third Corps. During the winter, the battery transferred to First Division of the corps. When Clark took command of the artillery brigade in that formation, Lieutenant Robert Sims held command of the battery. 1st New Hampshire: 126 canister, 182 percussion shell, 538 fuse shell, and 360 bullet shell for 3-inch rifle. Battery A, New Jersey: 530 shell, 360 case, and 134 canister of Parrott patent for 10-pdr Parrott. And 70 shot of Schenkl-patent for the same 10-pdr Parrotts. Battery B, New Jersey: 380 shell, 340 case, and 146 canister of Parrott patent for 10-pdr Parrott. Battery B, New Jersey: 360 Schenkl shell for 10-pdr Parrott. I would call attention to the types of projectiles reported here. In this case, we have three batteries which are part of the main field army of the Eastern Theater. One would assume these were well supplied. And we see healthy quantities of shell, case, and canister. But only one battery reported bolt or solid shot. Yet, we know the leaders in the artillery formation of that army – namely Brigadier-General Henry Hunt – expressed a preference for the use of solid shot. What would explain a shortage of solid shot? Perhaps we are seeing the gap between intentions and the capabilities of the logistic system. And perhaps extending that gap was the higher use, based on the chief’s instructions, of solid projectiles. But short of some complaint by, say Hunt, to the Ordnance Department, there is no direct evidence to blame this on the supply system. As with much in the summaries, we have numbers. And numbers are figures, yet not necessarily information. 1st New Hampshire: Twenty-nine Navy revolvers and nine cavalry sabers. Battery B, New Jersey: Eighteen Navy revolvers and sixteen horse artillery sabers. Of note, in the last quarter Hexamer’s Battery reported over a hundred sabers. Over the winter, the battery lost many of those – presumably turned in as unnecessary. Today we move back east for the summaries – New Hampshire and New Jersey. In contrast to the messy Missouri entries, with gaps and questions to address, those lines for New Hampshire and New Jersey are relatively clean. Between those two states, there were but three lines to consider. New Hampshire provided one field battery for service during the war. New Jersey would eventually provide five batteries, but as of December 1862 only two were in existence. The New Hampshire battery is referenced as “the 1st”. The New Jersey batteries are mentioned as both lettered and numbered batteries. I’ll conform to the convention used in the summary statement here – lettered batteries. 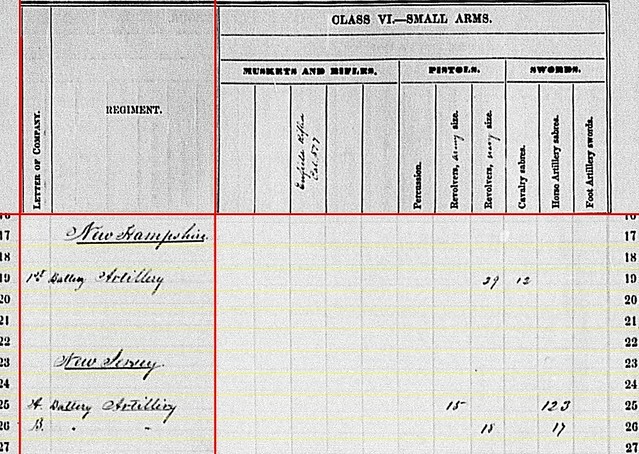 1st Battery New Hampshire Light Artillery: At Potomac Creek, Virginia with four 3-inch Ordnance Rifles. Lieutenant Frederick M. Edgell’s battery supported First Division, First Corps. Battery A, New Jersey Light Artillery: At White Oak Church, Virginia with six 10-pdr Parrott rifles. Captain William Hexamer’s battery was, same as the New Jersey Brigade, part of First Division, Sixth Corps. Battery B, New Jersey Light Artillery: At Falmouth, Virginia with six 10-pdr Parrott Rifles. Commanded by Captain A. Judson Clark, Battery B supported Third Corps. For the New Hampshire battery, and them only, we see 3-inch Hotchkiss types – 90 canister, 182 percussion shell, 228 fuse shell, and 340 bullet shell. Battery A: 10-pdr Parrott patent – 410 shell, 360 case, and 134 canister. Also 70 10-pdr Parrott shot, made to Schenkl’s patent. 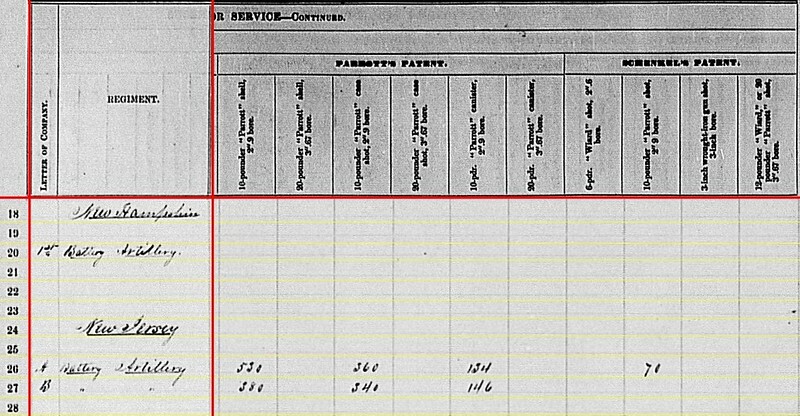 Battery B: 10-pdr Parrott patent – 530 shell, 340 case, and 146 canister. New Hampshire Battery: 70 Schenkl shells for 3-inch rifle. Battery A, New Jersey: 120 Schenkl shells for Parrott 10-pdr. Battery B, New Jersey: 160 Schenkl shells for Parrott 10-pdr. We might raise an eye at the mix of Schenkl with the Hotchkiss and Parrott patent projectiles. But nothing out of the ordinary. Actually these three batteries seem to have a clean allocation compared to some we’ve seen. New Hampshire: 39 Navy revolvers and 12 cavalry sabers. Battery A, New Jersey: 15 Army revolvers and 123 horse artillery sabers. Battery B, New Jersey: 18 Navy revolvers and 17 horse artillery sabers. Not a lot of question marks or even remarks to add with respect to these three batteries. Next up… a lot of New York batteries!